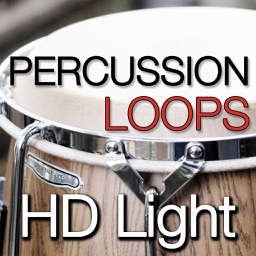 Drum Loops HD is a great way to add live acoustic drums to your musical projects (works with a.o. 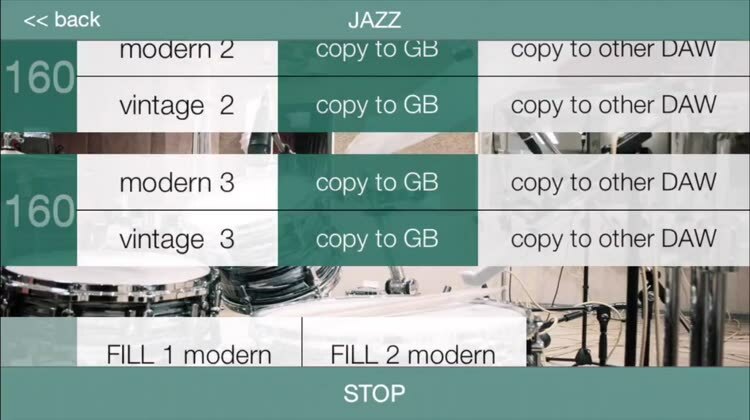 Garageband, Auria, Cubasis...and others, plus Audiobus and Inter App Audio support) and a great way to jam with a professional drummer to practice your skills . 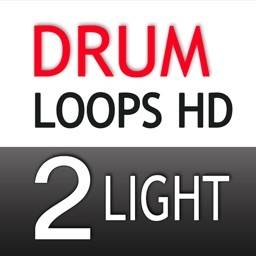 Try Drum Loops HD Light for free to get a taste of the full version!! 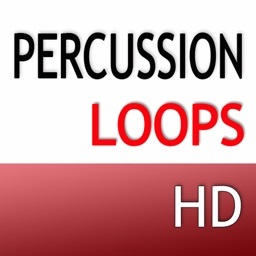 ***** Best drum loops in store! FANTASTIC DRUMS! 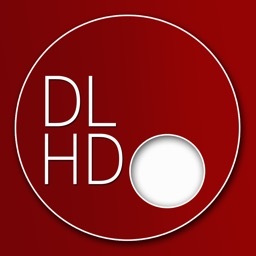 ***** Best rehearsal app ever! The light version of Drum Loops HD gives you a great insight into the sound, features and usability of Drum Loops HD (full version). 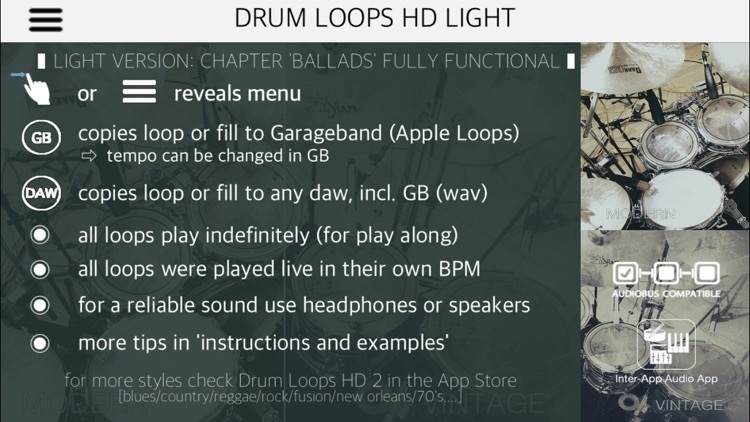 In Drum Loops HD Light one of the 12 styles (Ballads) is fully disclosed (royalty free) and all other chapters have a screenshot with examples for you to listen to before buying the full version. 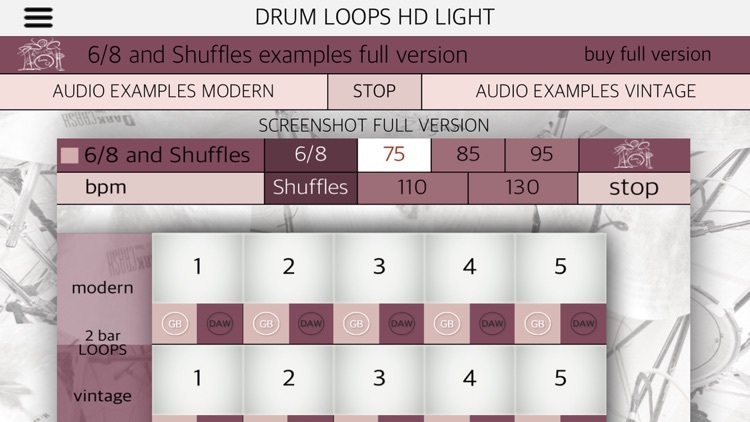 * Ability to change tempo loops and fills in Garageband! All 12 styles are cut into either 2 or 4 bar loops and recorded with two different mic settings, a 'Modern' with 14 mics and a unique 'Vintage' setting with 5 old school mics placed around the sets. 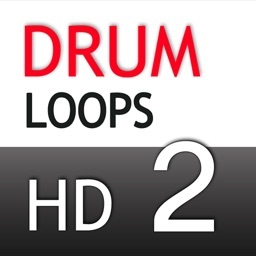 * Random Loops, a chapter with Reggae, Fusion, Cuban and Brazilian loops and fills, presented as a trailer chapter for Drum Loops HD 2. So in fact a real live drummer at your fingertips including ending drum fills, crashes and double crashes to finish your track in style! 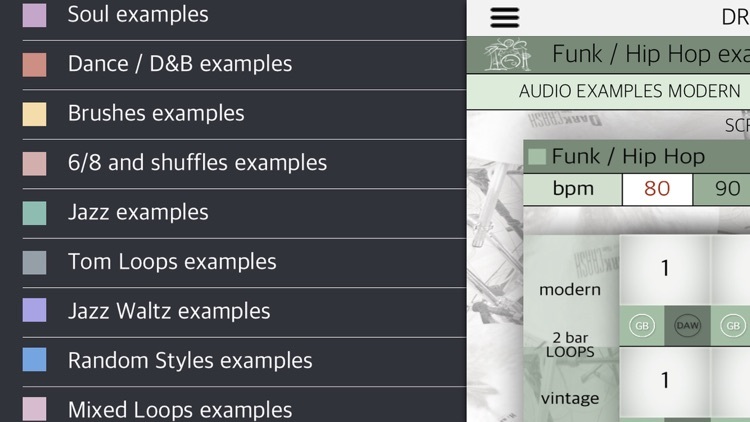 Don't settle for an app that gives you programmed drum-like sounds. 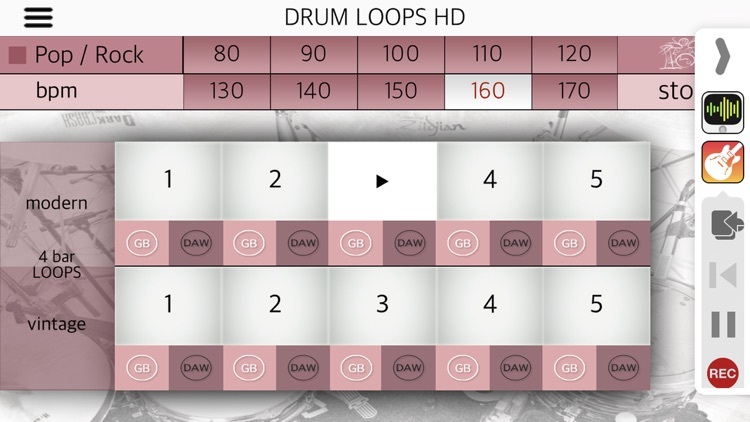 Download Drum Loops HD now and put a real drummer (whose tempo you control) in GarageBand! 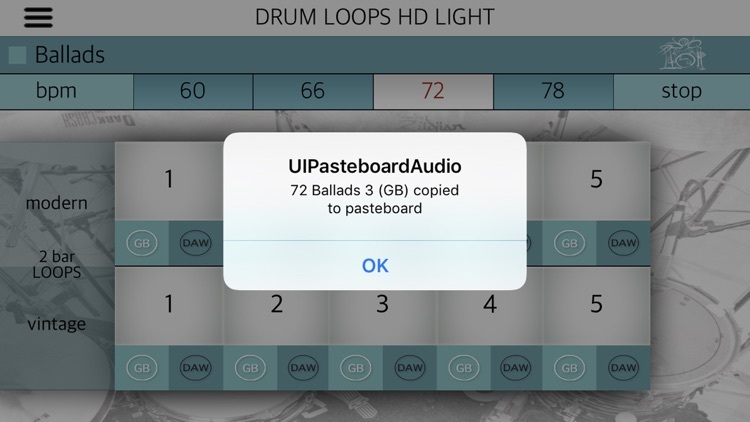 NOTE: ALL DRUM LOOPS CAN BE COPY-PASTED TO ANY DAW WHICH HAS 'PASTE FUNCTIONALITY'. 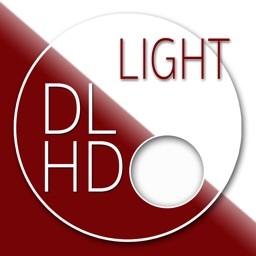 CHECK YOUR DAWS APP INSTRUCTIONS OR OUR APP SUPPORT PAGE IF YOU NEED HELP.